Providing professional carpet and upholstery cleaning to Honesdale, Hawley, Waymart, Wallenpaupack, Carbondale PA, Narrowsburg, NY & more. ​Quality Carpet Care is dedicated to bringing you a high level of service. We specialize in carpet, rug and upholstery cleaning. We use the steam/hot water extraction method as well the low moisture encapsulation method to provide the most effective, safe, and sanitary carpet cleaning for your home and family. We serve both commercial and residential customers. We also offer tile and grout cleaning, window cleaning and other services to suit your needs. Quality Carpet Care has been a respected name in cleaning in the Honesdale Pennsylvania area for over 30 years. 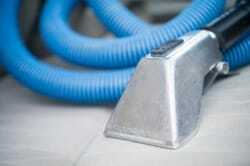 Why have your carpets cleaned professionally? 1. Carpet cleaning makes your home healthier to live in for your family and your pets. 2. Carpet cleaning is the most inexpensive way to make your home look better. ​3. Carpet cleaning saves you money because it makes your carpets last longer. 4. Hot water extraction is the most recommended cleaning method by carpet manufacturers. The story of a dirty carpet. Dirt is like thousands of little blades that cut carpet fibers. When you walk across a dirty carpet, you grind sharp dirt particles against the yarn, making tiny nicks in the fibers. All that fuzz mixed in with the dirt in your vacuum cleaner bags is your beautiful carpet headed out the door one bag at a time. When dirt scratches the fibers, it dulls the sheen, which is why high-traffic areas appear duller than the rest of the carpet. Over time, grinding dirt wears away the fibers too, which mats them down and makes them stain more easily. The only way to prevent this is regular cleaning by a professional carpet cleaning service. We clean chairs, couches, love seats, and area rugs, in addition to carpet. We also specialize in pet odor and pet stain removal. Here's a demonstration of the very low moisture encapsulation method of carpet cleaning. We also perform the hot water extraction carpet cleaning method. Give us a call and we can help you decide which is best for your home!